Founded on July 4th 2016, the Cognomotiv team is working with leading automotive and transportation companies around the globe to validate our data-driven approach to ensure the safety and security of the next wave of new transportation services, from connected cars to fully autonomous vehicles. Hadi is passionate about security, mobile, automotive, AI & Machine Learning, and massively scalable systems. 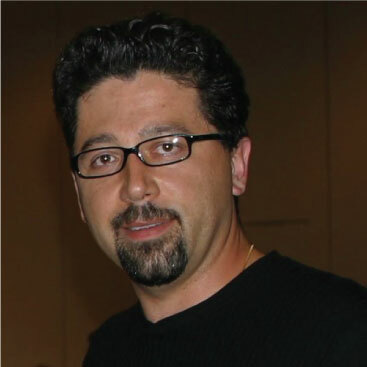 Just before founding Cognomotiv Hadi was VP Security CTO at Brocade and prior to that the Chief Security Architect at three different technology powerhouses: NVIDIA, PayPal/ebay and MontaVista Software. Prior to these roles he served in senior leadership positions on security teams at Motorola, Netscape and conducted security operations at several government agencies. Hadi is the author of "Web Commerce Security" book published by John Wiley and Sons and 47 patents, 16 of which have been granted. Hadi holds SB degrees in Mechanical Engineering and Electrical Engineering from IUST, a Masters Degree in Electrical Engineering and Computer Sciences from Stuttgart University and is a Guest Lecturer in EE 46 in Electrical Engineering Department at Stanford University. In addition to building his own cars from scratch, Christian is recognized as one of the top embedded architects in the world with a proven record of building high-performance embedded systems. 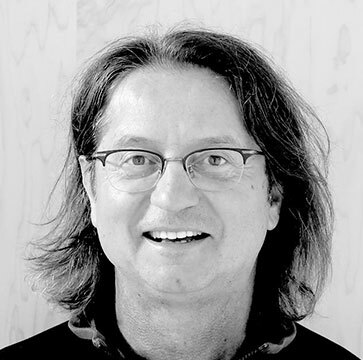 Prior to co-founding Cognomotiv with Hadi, Christian was the Technical Program Manager for Android Auto and before that he was a Chief Architect and Tech Evangelist for Motorola. He proved his development expertise early in his career by writing the Web server for the embedded OS VxWorks, paving the way for today's IoT. 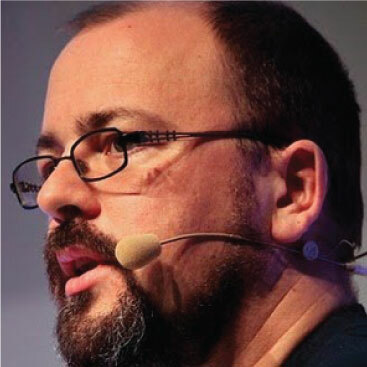 He also had a lead developer position in SUN's embedded JAVA team and has made substantial contributions to the Eclipse codebase and the OSGi standard. Christian holds a Master’s Degree in Computer Sciences from University of Erlangen in Germany and a MBA from Santa Clara University. Art has extensive hands-on leadership experience in building and directing customer-facing global marketing, sales, and services delivery teams. Prior to joining Cognomotiv he was CEO of Sencha and prior to that CEO of Cordys. Art was President of MontaVista Software where he was key to the automotive industry adopting embedded Linux systems. Prior to MontaVista Art had regional leadership roles in the Asia-Pacific-Japan territory for Documentum, Cadence and General DataComm. Art spent 5 years on Active Duty with the USAF and 22 years in the Air Force Reserves, retiring as a Lt Col. Art holds a SB in Business Administration from the University of Connecticut and is a Distinguished Graduate of the USAF’s Squadron Officer School. Before co-founding Cloudera in 2008, Amr (@awadallah) was an Entrepreneur-in-Residence at Accel Partners. 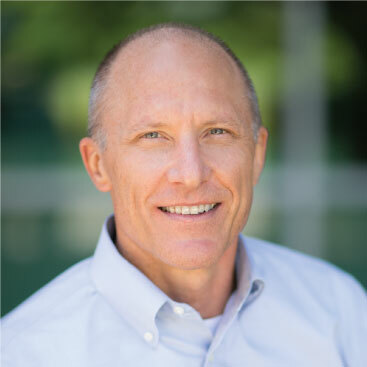 Prior to joining Accel he served as VP Product Intelligence Engineering at Yahoo and ran one of the very first organizations to use Hadoop for data analysis and business intelligence. Amr joined Yahoo after they acquired his first startup, VivaSmart, in July 2000. Amr holds a Bachelor’s and Master’s degrees in Electrical Engineering from Cairo University, Egypt, and a Doctorate in Electrical Engineering from Stanford University. Kaplan began his career with Enterprise Rent-A-Car in 1985 as Assistant Controller in Southern California. 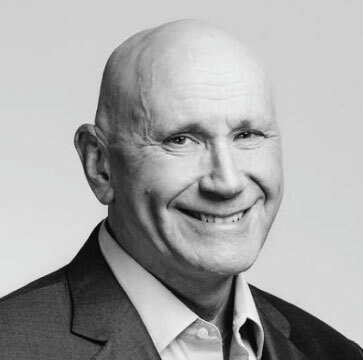 As Controller and later VP of Finance in Southern California, he helped develop Enterprise’s regionalized structure, as the company’s Southern California operation and its largest worldwide operation. 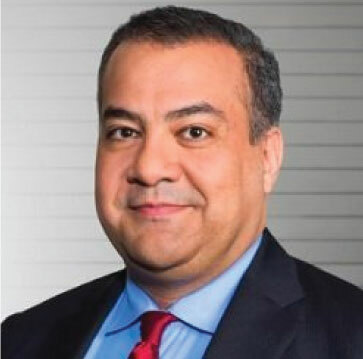 Kaplan was named Vice President of Corporate Risk Management in 1997 and promoted to the role of Senior Vice President and Chief Administrative Officer in 2003. Kaplan oversaw Legal, Risk, Mergers and Acquisitions, Corporate Venture and Strategic Planning. 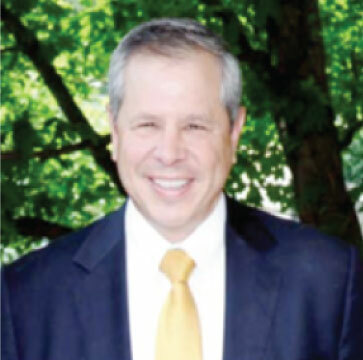 Prior to joining Enterprise, Kaplan earned a CPA degree while working at Ernst & Whinney. He earned a Bachelor of Arts in Economics and Accounting from the University of California-Santa Barbara. Lou has a wealth of experience in strategic and innovative leadership. Hughes was previously President and COO of Lockheed Martin. Prior to Lockheed Martin, he was EVP at General Motors, where he held progressively more responsible positions for over 25 years, including President of GM International Operations, President of GM Europe, Chairman of Adam Opel AG, and Chairman of Saab Automobile. In 2004 and 2005, Hughes also served as a US diplomat in Kabul, Afghanistan as Chief of Staff of the Afghanistan Reconstruction Group and senior advisor to the Karzai cabinet. He has previously served on many other leading boards, including ABB (Switzerland); Akzo Nobel (Netherlands); Alcatel-Lucent (France); British Telecom (United Kingdom); Deutsche Bank (Germany); and Electrolux (Sweden). Hughes received a Bachelor’s degree in Mechanical Engineering from Kettering University in 1971 and a MBA from Harvard University in 1973. 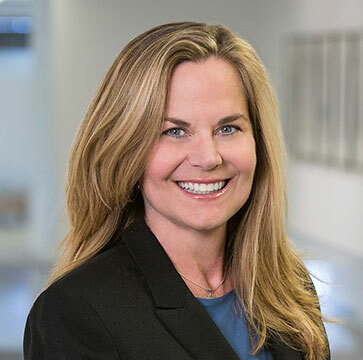 Robin serves as the Global Co-chair of the Data Privacy & Cybersecurity practice group at the top 10 global law firm, Squire Patton Boggs, where she specializes in complex/cutting edge legal advice, including expertise in autonomous vehicle technology, connected-cars, IoT, data monetization, and online tracking technologies. She maintains an active practice in proactive data management. Robin co-founded Click 4 Compliance online compliance training, a 2-time recipient of the Inc. 500/5000 Fastest Growing Companies. Robin was part of the team that founded the Privacy & Cybersecurity practice at Crowell & Moring LLP in Washington, DC. Prior to that she led Hewlett-Packard Europe’s compliance efforts when the Data Protection Directive in Europe was first passed. She was named National Law Journal “Cybersecurity Trailblazer” for 2016 and selected by the Department of Commerce and EU Commission as one of sixteen arbitrators for the US EU Privacy Shield arbitration panel. Sasha is a technology industry expert, advisor and investor. As Senior Vice President Engineering at Cruise Automation, an autonomous vehicle technology company owned by General Motors, Sasha guided the Software and Hardware teams in achieving an industry leadership position. As Vice President Software at Nvidia, Sasha was in charge of some of the most strategic and mission critical initiatives that contributed to Nvidia becoming the undisputed leader in visual computing and AI technologies. And before all that, Sasha was an early pioneer in developing and deploying speech recognition and text to speech synthesis solutions at scale. As software, sensors, and realtime interconnected processes take on more critical roles in automotive and transportation systems, attack on or failures of such processes could be catastrophic. It will soon become impossible to continuously validate these complex interconnected processes and systems using traditional verification methods. The only way to ensure the safety and security of global ridership and maintain and enhance brand integrity is during vehicle operation – to analyze, report and act on the massive amounts of data generated by vehicles systems, in realtime and at the edge. By accessing the website at www.cognomotiv.com , you are agreeing to be bound by these terms of service, all applicable laws and regulations, and agree that you are responsible for compliance with any applicable local laws. If you do not agree with any of these terms, you are prohibited from using or accessing this site. The materials contained in this website are protected by applicable copyright and trademark law. Permission is granted to temporarily download one copy of the materials (information or software) on Cognomotiv’s website for personal, non-commercial transitory viewing only. This is the grant of a license, not a transfer of title, and under this license you may not: modify or copy the materials; use the materials for any commercial purpose, or for any public display (commercial or non-commercial); attempt to decompile or reverse engineer any software contained on Cognomotiv’s website; remove any copyright or other proprietary notations from the materials; or transfer the materials to another person or “mirror” the materials on any other server. This license shall automatically terminate if you violate any of these restrictions and may be terminated by Cognomotiv at any time. Upon terminating your viewing of these materials or upon the termination of this license, you must destroy any downloaded materials in your possession whether in electronic or printed format. The materials on Cognomotiv’s website are provided on an ‘as is’ basis. Cognomotiv makes no warranties, expressed or implied, and hereby disclaims and negates all other warranties including, without limitation, implied warranties or conditions of merchantability, ﬁtness for a particular purpose, or non-infringement of intellectual property or other violation of rights. Further, Cognomotiv does not warrant or make any representations concerning the accuracy, likely results, or reliability of the use of the materials on its website or otherwise relating to such materials or on any sites linked to this site. In no event shall Cognomotiv or its suppliers be liable for any damages (including, without limitation, damages for loss of data or proﬁt, or due to business interruption) arising out of the use or inability to use the materials on Cognomotiv’s website, even if Cognomotiv or a Cognomotiv authorized representative has been notiﬁed orally or in writing of the possibility of such damage. Because some jurisdictions do not allow limitations on implied warranties, or limitations of liability for consequential or incidental damages, these limitations may not apply to you. The materials appearing on Cognomotiv website could include technical, typographical, or photographic errors. Cognomotiv does not warrant that any of the materials on its website are accurate, complete or current. Cognomotiv may make changes to the materials contained on its website at any time without notice. However Cognomotiv does not make any commitment to update the materials. Cognomotiv has not reviewed all of the sites linked to its website and is not responsible for the contents of any such linked site. The inclusion of any link does not imply endorsement by Cognomotiv of the site. Use of any such linked website is at the user’s own risk. Cognomotiv may revise these terms of service for its website at any time without notice. By using this website you are agreeing to be bound by the then current version of these terms of service. Your privacy is important to us. We don’t ask for your personal information unless we truly need it. We don’t store your personal information on our servers unless it’s required for providing a service to you. It is Cognomotiv’s policy to respect your privacy regarding any information we may collect from you across our website, www.cognomotiv.com. We log general information about your browser whenever you visit our website. This information may include your computer’s Internet Protocol (IP) address, your browser type and version, the pages you visit on our site, the time and date of your visit, and the time spent on each page. Like most website operators, we collect this data to better understand how our visitors use our services, and how we may improve your experience of our website in future. We do not share data speciﬁcs publicly, but may disclose aggregated and anonymized versions of this information, i.e. in website usage trend reports. We take security seriously, and do what we can within commercially acceptable means to protect your personal information from loss or theft, as well as unauthorized access, disclosure, copying, use or modiﬁcation. That said, we advise that no method of electronic transmission or storage is 100% secure, and cannot guarantee the absolute security of your data. Cookies are small pieces of text sent to your web browser by a website you visit. A cookie ﬁle is stored in your web browser and allows the Service or a third-party to recognize you and make your next visit easier and the Service more useful to you. Cookies can be "persistent" or "session" cookies. Persistent cookies remain on your personal computer or mobile device when you go oﬄine, while session cookies are deleted as soon as you close your web browser. When you use and access the Service, we may place a number of cookies ﬁles in your web browser. Please note, however, that if you delete cookies or refuse to accept them, you might not be able to use all of the features we oﬀer, you may not be able to store your preferences, and some of our pages might not display properly. For any other web browser, please visit your web browser's offcial web pages.